Librarian Chloe McAlister finds solace in her books—and hats—but doesn’t know where to turn when her longtime crush gets engaged. On a whim, she signs up for a speed-dating mixer and convinces her best friend, Dill Thomas, to attend. 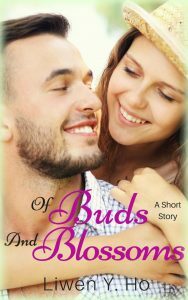 All goes as planned until she realizes Dill means more to her than she thought … and he goes and falls for someone else. This 10,000-word short story is perfect for your lunch break, workout, or while you wait in line at the mall. Read it today to experience a hint of spring any time of the year!